No experience of music is necessary for participants. Its about coming and making music together and having fun. 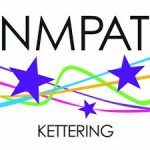 Musical Starts – 5 – 6 pm Wednesdays at NMPAT (Kettering Road, Northampton) Weekly during term time. 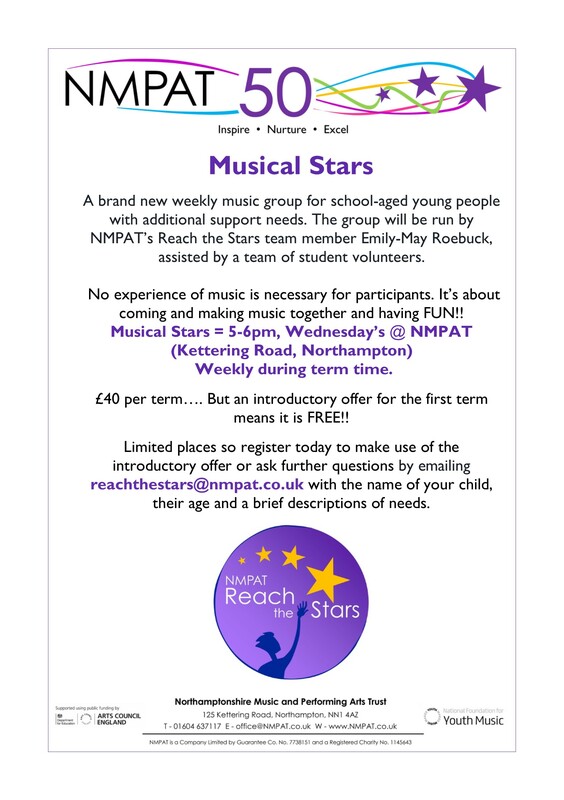 Limited places so register early to make use of the introductory offer. 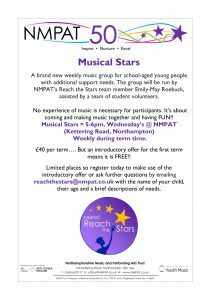 Email: reachthestarts@nmpat.co.uk with information about your child and their needs.